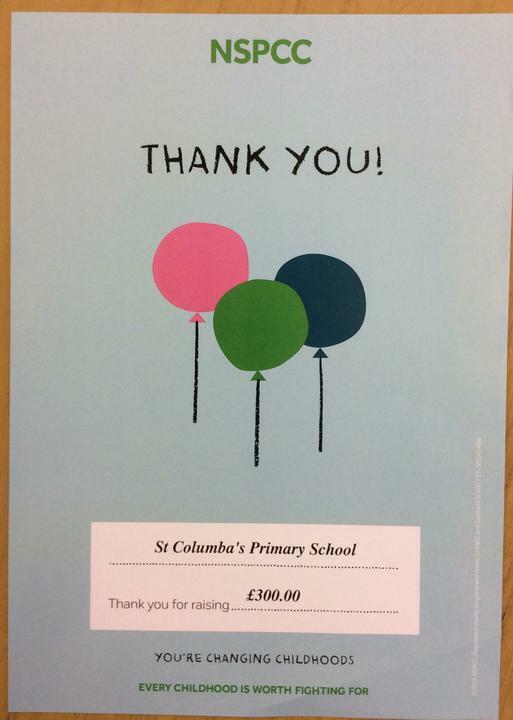 Thank you very much for your recent donation of £300.00 towards our work with children. Please pass on our thanks to everyone involved for giving their time and enthusiasm for children in need of help and support. The NSPCC works across the UK to protect children. We run a wise range of services for both children and adults, including national helplines and local projects and our campaigning work takes place at a national, regional and local level. All of this work would not be possible without the support of schools and communities such as yours. With your help, we're getting closer to ending cruelty to children in the UK.